During the night Pharaoh summoned Moses and Aaron and said, "Up! Leave my people, you and the Israelites! Go, worship the Lord as you have requested. Take your flocks and herds, as you have said, and go. And also bless me." The Egyptians urged the people to hurry and leave the country. "For otherwise," they said, "we will all die!" So the people took their dough before the yeast was added, and carried it on their shoulders in kneading troughs wrapped in clothing. The Israelites did as Moses instructed, and asked the Egyptians for articles of silver and gold, and for clothing. The Lord had made the Egyptians favorably disposed toward the people, and they gave them what they asked for; so they plundered the Egyptians. The Israelites journeyed from Rameses to Succoth. There were about six hundred thousand men on foot, besides women and children. Many other people went up with them, as well as large droves of livestock, both flocks and herds. With the dough they had brought from Egypt, they baked cakes of unleavened bread. The dough was without yeast, because they had been driven out of Egypt, and did not have time to prepare food for themselves. Now the length of time the Israelite people lived in Egypt was 430 years. At the end of the 430 years, to the very day, all the Lord's divisions left Egypt. Now when the Pharisees and some of the scribes who had come from Jerusalem gathered around him, they noticed that some of his disciples were eating with defiled hands-- that is, without washing them. (For the Pharisees, and all the Jews, do not eat unless they thoroughly wash their hands, thus observing the tradition of the elders; and they do not eat anything from the market unless they wash it; and there are also many other traditions that they observe: the washing of cups, pots, and bronze kettles.) So the Pharisees and the scribes asked him, "Why do your disciples not live according to the tradition of the elders, but eat with defiled hands?" You abandon the commandments of God, and hold to human tradition." A church comes to its end when salvation becomes merely a matter of knowing what the Bible says, and not living according to it. With the ancient Jewish nation, this happened through the traditions by which they falsified the Word of God. The truths of the Bible become traditions when we are not living a life of kindness. The truths of the Bible also become falsities when we separate faith from kindness. Feed a wife and children, say his daily prayers? To have the final word at home? The Papa, the Papa! Tradition. A quiet home, a kosher home? So Papa's free to read the holy books? The Mama, the Mama! Tradition! At three, I started Hebrew school. At ten, I learned a trade. I hear they've picked a bride for me. I hope she's pretty. The son, the son! Tradition! Preparing me to marry whoever Papa picks? The daughter, the daughter! Tradition! Tevye, the father of the household, concludes the scene by affirming, "Without our traditions, our lives would be as shaky as a fiddler on the roof." I suspect that as I was reading the words to the song, you took exception to some of the roles prescribed for the papas, the mamas, the sons, and the daughters. They are very traditional roles. And though these roles have by no means entirely disappeared from our society, we modern Americans, both male and female, like to think that we have freedom to live and work the way we want. And we especially believe that we are free to marry who we want. The idea that our father--in consultation with the local matchmaker, of course--would choose the person we are to marry strikes us as being not "traditional," but feudal. As the story unfolds, it turns out that Tevye's five daughters are not happy with this tradition either. Tevye stands helplessly by as one daughter after the other marries the man she loves, rather than the one he had chosen for her. And before the story has ended, the whole Jewish community in Anatevka is uprooted from the home where they had practiced their traditions. The story is one of struggle between the traditions that hold the community together, and the inevitable change that bends, and finally breaks, those traditions. Almost 1,900 years before the era in which "Fiddler On the Roof" is set, Jesus found himself in the middle of the same tension between tradition and change. His disciples, most of whom were rough, rural Galileans from the north, apparently did not feel the need to follow the exacting traditions of the scribes and Pharisees, who were leaders of the southern, city-dwelling Jews. The Lord's disciples violated those traditions by eating without washing their hands (Parents: aren't you glad your children aren't listening to this?! ), and the scribes and Pharisees challenged Jesus to account for the behavior of his disciples. Never one to shrink from a challenge, Jesus gave them more than they had bargained for, calling them "hypocrites" who clung to human tradition while abandoning the commandments of God. If we had continued the story, we would have heard Jesus attacking and shredding the very roots of the ancient Jewish traditions on ritual cleanness and uncleanness. Though there was a struggle among the early Apostles, before the first century of Christianity had come to a close, it had been firmly established that Christians need not follow the Jewish traditions, nor even observe the ritual of cleansing and sacrifice decreed in the Law of Moses. The Christian Church was founded on the rubble of religious traditions that had developed over a period of at least two millennia. And yet, the Lord did not utterly cast tradition out of the church. It is true that he had no use for the entangling web of strict and complex traditions that the religious leaders had progressively laid on the people. But he perceived a kernel of spiritual reality underneath the religious and social accretions of the centuries. He stripped away all those extra layers, leaving us with two simple, meaningful rituals that fulfilled everything the previous complex system had sought to accomplish. In place of all the rituals of cleansing, Jesus established the sacrament of baptism as a symbol of the spiritual cleansing that we must all undergo to become truly Christian. And in the place of all the rituals of sacrifice, he established the Holy Supper as a symbol of our need to come into the presence of the Lord, and together with our fellow believers, accept the Lord's love (symbolized by the bread) and the Lord's wisdom (symbolized by the wine) into our lives. The Lord commanded us to observe these two rituals for all time. And they have formed the core of all the ritual traditions that have developed in the Christian Church. What is the message here? Tradition does have its place. The glue of outward ritual and prescribed behavior can hold our families and communities together when we might otherwise be driven apart by interpersonal friction, and by outside forces beyond our control. Yet when tradition takes over as the primary focus of our lives, it becomes a heavy and restrictive weight, pressing us down with deadening restrictions on our free will. When tradition gets control of us, it gradually squeezes the life out of us in its ever-tightening coils. It was this deadening influence of overbearing tradition that Jesus struggled against in the religious institutions of his day. And the same forces of crystallized tradition that brought the ancient Jewish church to its final reckoning have been at work in the Christian Church ever since it broke free from the traditions that had built up over the previous two thousand years. Eighteen centuries after the Christian Church broke away from Judaism, Emanuel Swedenborg found the Christian Church to be just as burdened down with deadening tradition and dogma as was the Jewish Church of Jesus' day. It is now over two hundred years from the beginning of the new Christian era proclaimed by Swedenborg. Yet the religious organizations that name themselves after the spiritual New Jerusalem described in Swedenborg's writings have adopted much of the tradition of the earlier Christian Church--and we have developed some of our own. Just as there was a kernel of goodness in the great mass of tradition that Jesus railed against, so there is a kernel of goodness in the Christian tradition we have inherited. But though our traditions have kept us together as a church, they have not helped us to move forward, reach out, and grow. Over the past century, we Swedenborgians have clung to many of our traditions, while the world has moved forward at a faster and faster pace. As the gap widened, our church's appeal to the people of our culture waned, and we experienced a century of drastic decline, dashing all the golden hopes of the early Swedenborgians, who envisioned our church moving forward into a glorious and ever-growing future. Perhaps the growing clan of Jacob had similar golden hopes when they moved from their famine-stricken home in southern Palestine to the grain-rich land of Egypt, where Joseph, the long-lost brother, had become a powerful ruler--ensuring they would receive special treatment. Perhaps when they settled into the rich Nile river delta they thought they had "made it," with their troubles at an end, and their wealthy future assured. Yet in two short centuries (the 430 years in our reading is measured from the time Abraham first sojourned in Egypt, not from the time Jacob and his family went there), their descendents found themselves enslaved and bitterly oppressed by the Egyptians. What does this have to do with our religious traditions? 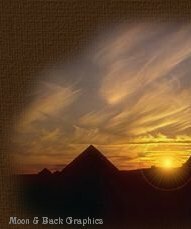 In the Bible's spiritual symbolism, Egypt stands for the knowledge we have gathered together into our memories, both about the material world and about spiritual life. In other words Egypt stands for all the information we have learned. When Joseph advised the Egyptians to store up grain during the seven years of plenty to tide them through the seven years of famine predicted in Pharaoh's dreams, it was an apt symbol of how we store up knowledge of good behavior and sound thinking during our good times, which tides us over during our times of struggle. Here we have traditions for everything: how to sleep, how to eat, how to work, how to wear our clothes. For instance we always keep our heads covered, and always wear little prayer shawls. This shows our constant devotion to God. You may ask, "How did this tradition get started?" I'll tell you . . . I don't know; but it's a tradition, and because of our traditions, every one of us knows who he is and what God expects of him. Tradition--the knowledge of how we are supposed to behave in every situation--can be very reassuring. 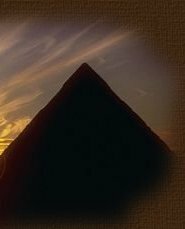 Like the fertile land of Egypt, it looks like it will take care of our every need, and sustain us through thick and thin, year after year. But over time, the hand of tradition gradually, almost imperceptibly, changes from a hand of helpful guidance to a heavy hand of compulsion and oppression. The traditions that parents and grandparents willingly adopted become irksome and restrictive to their children and grandchildren. Jacob and his family moved willingly to Egypt. Their descendants became slaves there. Must we, then, leave all our traditions behind in order to move into the future? Is it necessary to give up everything that has made our church dear to our long-time members in order to welcome a growing number of newcomers into our beloved faith community? No, it is not. Jesus distilled the ancient Jewish traditions into the two new traditions of baptism and the Holy Supper--traditions that remain meaningful to this day. And as we read in Exodus, the descendants of Jacob came out of Egypt rich with in articles of silver and gold, in clothing, and in livestock--symbolic of the good, true, and useful elements that can be pulled out of the suffocating mass of outmoded tradition that must be left behind. When our church--at whatever level--becomes merely a matter of knowing the teachings of the Bible and the church, and of knowing how things are "supposed to be done," it ceases to be a living, growing church, and becomes enslaved to tradition. When we think it is more important to preserve the "proper" way of doing things than to serve our neighbor and our community, then the living Word of God has become a dead letter. This is when we must leave our old mass of traditions behind, and begin anew--yet still preserving the best from what we have inherited and built up. Our church has already begun to do this. And the engine that can carry us forward, perhaps a bit reluctantly, on this new endeavor is the desire to serve the people of our community--people who are crying out for the beautiful insights and the loving community that we have to offer. We are moving toward a time of visioning and planning in our congregation. And we will soon be considering new proposals for our church's Massachusetts Association and its properties. Our first reaction may be to resist any change. Change is scary. Things might go wrong. We might lose what we have so carefully preserved all these years. Yet simply clinging to the way we have always done things means allowing our traditions to enslave us. And while the richness of religious tradition can be a powerful force to hold us together, the forces of growth and change are even more powerful. And when the two forces of tradition and change collide with each other, it is time to listen to the Lord's call to move forward--yet still preserving the best of what we have inherited. There is a good reason to move forward. People need what this church has to offer. This community needs our church's clear teachings of God's love and of spiritual light.